Crispy chicken taquitos are easy to make in the air fryer and are ready in about 30 minutes. All you need is shredded chicken, salsa, cheese, and sour cream to fill the tortillas. Wrap the tortillas around the filling and cook in the air fryer for 10 minutes. Make these for happy hour, game day, or as an appetizer for dinner. Save the leftovers for lunch the next day! If you want to make this completely from scratch, use the Mealthy pressure cooker salsa chicken recipe. Drain the liquid off really well, and use 1¾ cups salsa chicken instead of rotisserie chicken and salsa. Try carnitas or shredded beef for a different meat option. 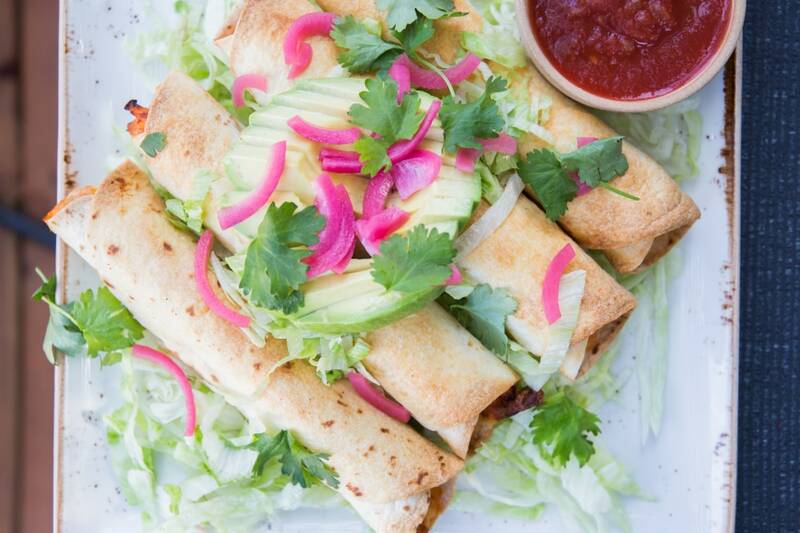 Looking for vegetarian taquitos? Use black beans or pinto beans instead of the chicken. 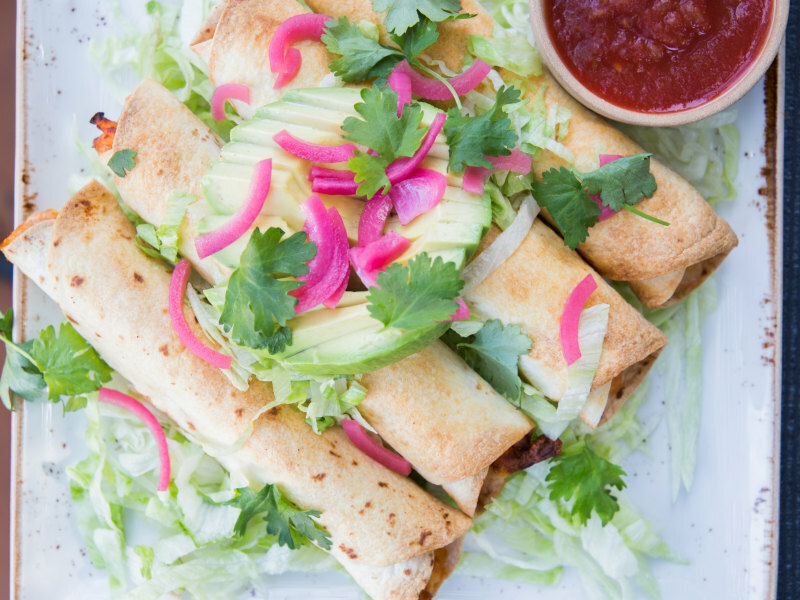 Want a gluten-free taquito? Use corn tortillas instead of the flour tortillas. Per Serving: 587 calories; 52g fat; 13.7g carbohydrates; 19g protein; 76mg cholesterol; 548mg sodium. 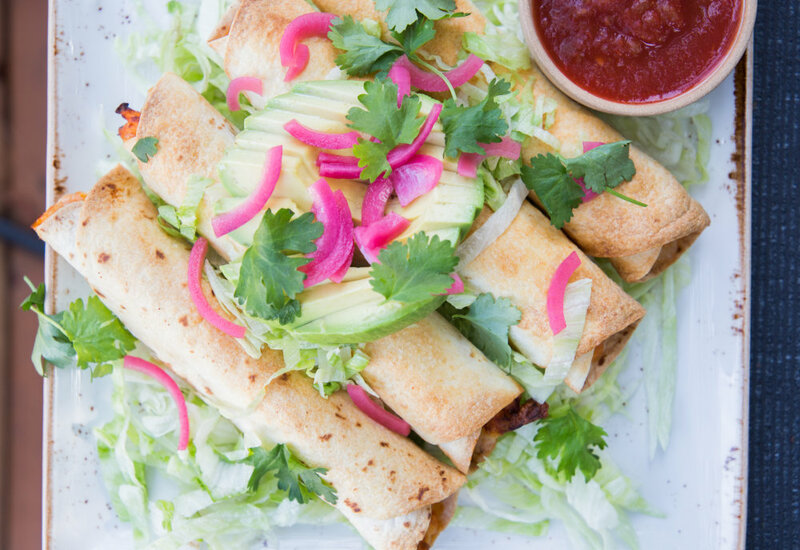 Taquitos are a family favorite around here -- hadn't considered an air fryer for them so this is a very welcome addition to our taquitos lifestyle. Topping with pickled red onions is just the icing on the cake! Yum! This is such a great appetizer for happy hours or other gatherings. I love that they are ready so quickly too! What a delicious meal. The crisp on the taquitos from the air fryer is a perfect idea.